The House’s passage of health-care reform is the clearest sign yet that the Democratic Party is, once again, for better and for worse, a big tent. By essentially sacrificing abortion and immigrant rights to get conservative Democrats to vote for expanded health-care coverage, House Speaker Nancy Pelosi restored the old hierarchy that between the 1930s and the 1960s helped Democrats establish dominance on Capitol Hill. Today, to a degree we haven’t seen since then, the Democratic Party is about economic protection first, and cultural freedom second. Her action was a long time in coming. Once upon a time, the Democratic Party was a big tent—a big, ugly, tent. In Congress, liberals coexisted with all manner of racists, nativists, misogynists and morons. “History shows that nations composed of a mongrel race lose their strength and become weak, lazy and indifferent,” declared Georgia Democratic Senator Herman Talmadge in 1955, in a statement that placed him firmly in the mainstream among Southern Democrats at the time. In 1964, less than two-thirds of the Democrats in Congress voted for the Civil Rights Act. For cultural liberals, the health-care vote was ugly. They had better get used to it: Big parties are ugly. But if you want to rebuild the American welfare state, there is no alternative. Yet it was that big, ugly Democratic Party that from Franklin Roosevelt to Lyndon Johnson pushed through Social Security, the Wagner Act, the Securities and Exchange Commission, the Tennessee Valley Authority, Food Stamps, Head Start, Medicare and Medicaid (with occasional help from the then-extant progressive wing of the GOP). Some of the Democratic bigots opposed these economic reforms, to be sure. But others backed them; they genuinely wanted to curb the savagery and chaos of unfettered capitalism. They just wanted to preserve white, male supremacy too. This was the devil’s pact that defined the Democratic Party for more than three decades, until the civil rights and women’s movement forced party leaders to choose. They reluctantly chose racial and gender equality, and so the racists and the misogynists drifted away. The Democratic Party became culturally liberal: pro-affirmative action, pro-choice, and smaller, since the old racists and sexists, now repackaged as racial and sexual conservatives, flocked to the GOP. Starting in 1968, Democrats began consistently losing the presidency. And in 1994, the realignment finally trickled down to the House of Representatives, and the Democrats lost that, too. • Dana Goldstein: How Abortion Splits the Reform Coalition• Benjamin Sarlin: 6 Senators Stalling Health Care• Matthew Yglesias: The Next Health Care Minefield• Paul Begala: Forget BipartisanshipSo Democrats accommodated themselves to a different kind of devil’s pact. Ideologically, the party was now more pure. But politically, it lacked the power to carry on FDR and LBJ’s work, or even preserve their gains. In the 1970s and 1980s, the liberals who ran the national party imposed a series of litmus tests that alienated cultural conservatives, even those who might have supported greater regulation of the market and greater protections for the poor. And, in so doing, they kept the tent small—small but comfortable, almost pristine. What Pelosi did last weekend has its roots in a rebellion against small-tentism that began in the mid-1980s, when a group of Southern and Western Democrats formed the Democratic Leadership Council, which campaigned inside the party for greater tolerance for cultural conservatives. Ideologically, the DLC incubated Bill Clinton, who spent the 1990s calling abortion a necessary evil and affirmative action a good idea taken too far, and enjoyed modest success in luring some conservative Democrats back. Then, in the Bush years, congressional barons like New York’s Charles Schumer began to aggressively recruit cultural conservatives to run in red states and districts. In Pennsylvania, they muscled a pro-choice candidate out of the way to clear room for anti-abortion Democrat Robert Casey, whose father had famously claimed that party bigwigs prevented him from discussing his opposition to abortion at the 1992 Democratic Convention. Barack Obama went even further, naming pro-lifer Tim Kaine as chairman of the Democratic Party. But had big-tentism been merely a strategy by Democratic leaders, it would have failed. Just as important was the emergence, in the Bush years, of a new liberal grassroots—the “netroots”—which is generally hostile to single issue litmus tests, especially on culture war issues. While prior generations of liberal activists had often rallied under the banner of gender equality or civil rights, the netroots demanded that those causes be subsumed within a larger progressive agenda. And they showed a particular affinity for candidates willing to challenge corporate power—even candidates like Virginia’s James Webb and Montana’s Jon Tester, who sometimes ran afoul of liberal cultural orthodoxy. Without this top-down and bottom-up shift, the House would not have passed health-care reform last Saturday night. It passed because the House contains dozens of culturally conservative Democrats, many of whom voted yes on reform. Had Democrats nominated cultural liberals for those seats, those seats would now be held by Republicans, who would certainly have voted no. And had Democrats tried to force those conservative Democrats to vote for a bill that permitted government funding of abortion, the Democrats themselves would have voted no. For cultural liberals, it was ugly. They had better get used to it: Big parties are ugly. But if you want to rebuild the American welfare state, there is no alternative. A profound shift is under way, one that will likely endure even if Democrats lose seats in the midterm elections next year. The Republican Party is growing smaller and more ideologically pristine; the Democratic Party has grown larger and more untidy. Conservative activists seem positively thrilled by their party’s newfound purity. I hope they enjoy it. Meanwhile, in the messy real world, the party of FDR and LBJ is back. 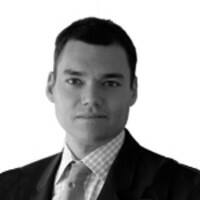 Peter Beinart, Senior Political Writer for The Daily Beast, is Associate Professor of Journalism and Political Science at City University of New York and a Senior Fellow at the New America Foundation.